The New York Rangers entered this season just like last season, with a sour taste in their mouths. After being eliminated in disappointing fashion by the Tampa Bay Lightning in game 7 of the Conference Finals, the Rangers were forced to watch another team raise the Stanley Cup that they felt could have and should have been theirs. Most of the team returns this season with a few exceptions, such as Martin St. Louis, who retired, Carl Hagelin and Cam Talbot, who were traded, and a few bottom-six forwards who didn’t re-sign. The bulk of the team is the same, however. So far this season the Rangers have found ways to win hockey games. 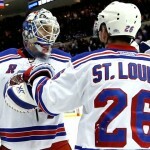 Though the team hasn’t looked overly impressive, wins are wins, and the Rangers have been picking them up all season. Henrik Lundqvist has been sensational, even more so than normal. The defense, though not quite as imposing as it was a year or two ago, is the same group of players, led by one of the best shutdown pairs in the league, Ryan McDonagh and Dan Girardi. Mats Zuccarello has returned from his serious injury sustained in game 5 against Pittsburgh in the Conference Quarterfinals last season. All signs of that frightening brain injury seem long and forgotten, as Zuccarello leads the team in points with 21. The younger players that stepped up in the playoffs last year seem to have more prominent roles in the offense this season, such as J.T. Miller, Jesper Fast and Kevin Hayes. Though the lines have been shuffled a bit, the Rangers’ top five forwards have remained in place (top line: Rick Nash-Derrick Brassard-Zuccarello, second line: Chris Kreider-Derek Stepan). The two biggest differences in this year’s lineup are that winger Carl Hagelin is gone and that rookie Oscar Lindberg finally made the team and has been playing very well. Though the two are not related, as Hagelin was traded for Etem (who has played very sparingly this season), the rest of the team is basically the same. Lundqvist and the Rangers remain hungry, and though it is early in the season it is never a bad time to pile up the points as the Rangers are doing now, especially when the team hasn’t even really hit its stride so far this year. The New York Rangers traded free agent winger Carl Hagelin to the Ducks at the beginning of the offseason. This was a bad move for the Rangers. Though Hagelin has not impressed so far this season, that can be attributed to the poor play of the Ducks, not the poor play of Hagelin as an individual. Hagelin is a top-six winger with great speed, a deceptive shot and excellent penalty-killing abilities. Though his regular season numbers won’t blow you away, Hagelin certainly has the talent to contribute to a team. Even though Hagelin was a solid offensive threat for the Rangers, his production was always limited because he rarely played a top-six role in New York, both under John Tortorella and Alain Vigneault. It’s obvious that former general manager Glen Sather, along with the coaches, saw Hagelin as a third-line player. So for the Rangers, Hagelin wasn’t worth the money. However, the Rangers will miss Hagelin this year. 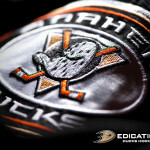 Perhaps the team will not feel his loss until the playoffs, but he will definitely be missed. Hagelin is the kind of player who gives 100% on every shift. He elevates his play in the postseason and is a very reliable two-way forward. He is one of the fastest players in the league and is capable of 15-20 goals a year (he scored 17 goals in each of his last two seasons with the Rangers). Those numbers are nothing to scoff at, especially for a Rangers team that has struggled offensively for great stretches over the last many seasons. What makes the trade even worse is that the Rangers acquired Emerson Etem in the deal. However, Etem has been a healthy scratch for most of the season so far (he has only played seven games), not even being the first alternate player to come into the lineup in case of injury. It would be one thing if the Rangers simply wanted to dump Hagelin’s salary because multiple key players will be free agents at the end of this season (i.e., Chris Kreider, Kevin Hayes, J.T. Miller). It’s another thing entirely to trade him for a player who barely makes the “fifth” line of the team and who will most likely be released to free agency at the end of this season. It seems like a complete waste. Cam Talbot was Henrik Lundqvist’s backup goaltender. 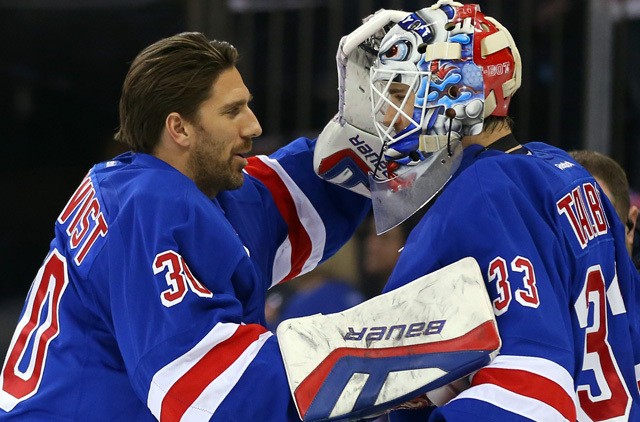 When Lundqvist went down with a semi-serious vascular injury last season, Talbot stepped in and stepped up to help keep the Rangers high in the standings and in playoff contention. He finished the year 21-9-4. He had signed a 1-year contract with the Rangers for $1.45 million and was a reliable backup. Even before the offseason began there were tons of rumors circulating about the Rangers trading Talbot. Though Talbot had been so valuable for the team, his one-year deal for the 2015-2016 season and his impressive performance in the 2014-2015 season in place of Lundqvist meant his value was at an absolute high. Former general manager Glen Sather rejected multiple deals that came his way, including one deal that involved Panthers’ winger Jimmy Hayes and another that involved a late 1st-round pick. Apparently he was looking for a 1st-round pick plus, as Talbot was the most esteemed goalie of the several backup goalies on the block (Martin Jones, Robin Lehner, etc.). 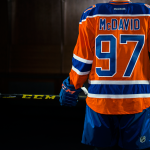 Eventually Sather was forced to take a lesser deal during the draft that sent Talbot to Edmonton along with a 7th in exchange for a 2nd, a 3rd and a 7th. Jones and Lehner ended up being traded for 1st-round picks, but Sather didn’t play his cards right. Fortunately for the Rangers, Sather was able to go out and get an excellent backup without much trouble. He traded forward prospect Ryan Haggerty to Chicago for Antti Raanta, who had fallen to the third-string position in Chicago after Scott Darling impressed management and became Corey Crawford’s backup. Headed into the year, it seemed obvious that Raanta would be just as good as Talbot in net behind the Rangers’ system since he had already shown he was a talented goaltender. It wasn’t clear that Talbot was truly ready to become a starting goaltender, but that was not a concern of the Rangers. In the end, the Rangers were able to trade Talbot for assets and replace him with relative ease without having to give up much from the system. Though the team could have gotten more value for Talbot, it was a smart organizational move, as was replacing him with Raanta. 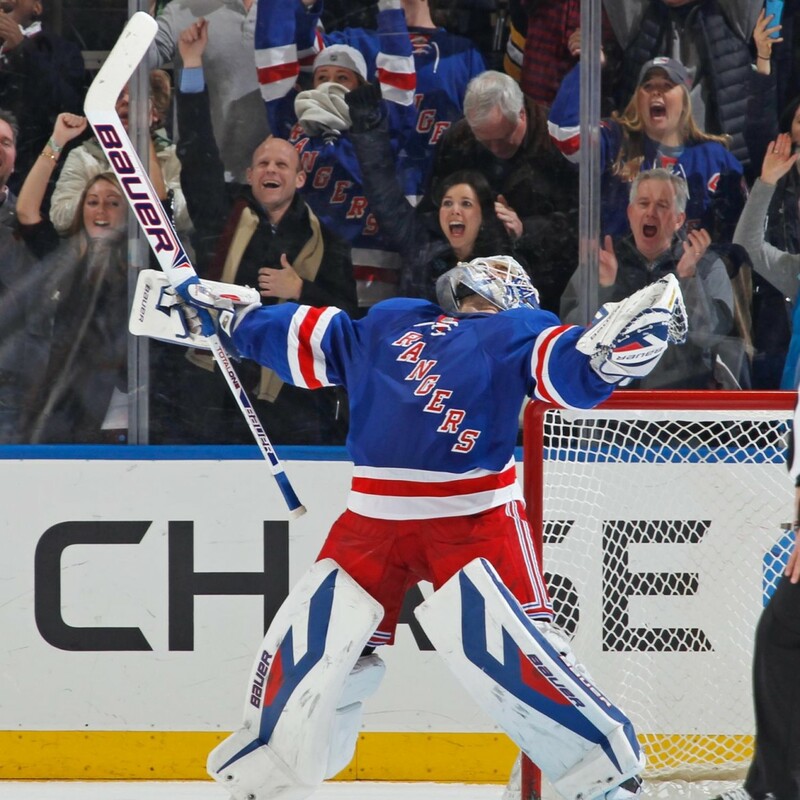 Raanta certainly hasn’t disappointed so far in New York; he is 4-0 this year. The Rangers have been one of the best teams in the league for many years now. 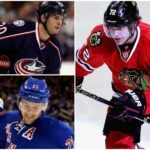 The core group in New York makes the team competitive every season, led by arguably the best goaltender in the league in Henrik Lundqvist, who has gone above and beyond for this team on too many occasions to count. The Rangers still have a lot of issues to address; for one thing, even though the team is winning the team has shown flaws that need to be addressed sooner rather than later. The team also has to get more offense from more members of the team. It seems as though the team is either playing in the shell and leaving Lundqvist to fend for himself in a frenzy of pressure or the team is clicking on all cylinders, making beautiful stretch passes to lead odd-man rushes and find the back of the net. There needs to be some type of middle ground, or at least it would be helpful for the team down the stretch if some type of balance could be found. It seems highly unlikely that the Rangers will miss the playoffs, but the team will face issues once the postseason arrives, even though there is a lot of time and a lot of hockey left to be played. 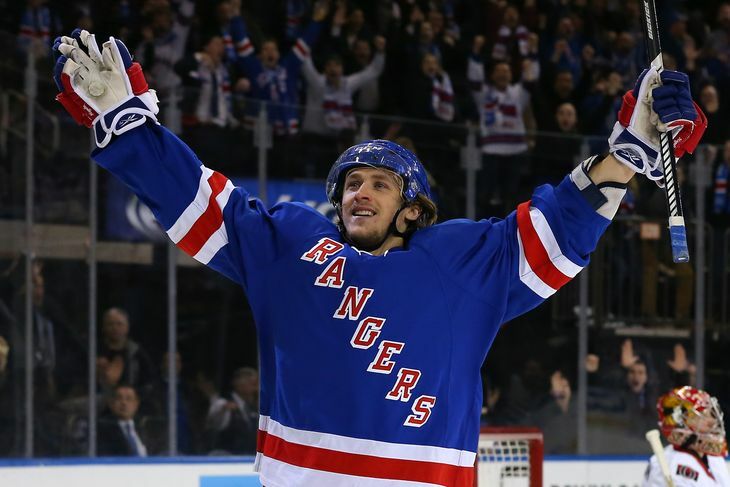 For one thing, the Rangers will miss Carl Hagelin’s presence in the playoffs. He was always a steadying force who elevated his play when it mattered most. Not having Hagelin will only put more pressure on Derek Stepan and Chris Kreider to produce. The two of them should be producing regardless of Hagelin’s presence, but it’s hard to discount the effect of someone who plays like Hagelin on a team. Additionally, the Rangers’ highest-paid skater cannot score in the playoffs and is not a leader. Rick Nash has scored four goals in the past few games, but he hasn’t shown any signs of that ability or drive when it really matters. At some point, the Rangers are going to have to realize what they have in Nash. It will be interesting to see if he gets moved at the deadline or in the offseason. Until then, the Rangers are winning and don’t have too many serious concerns. Accumulating as many points as possible now will only make the later portion of the season easier on the team and especially on Lundqvist. Lundqvist has looked great so far this year; he credits a lot of it to his new skates, but also partly to how hard he trained in preparation for this season. Though the roster may be a little worse than last year’s, the Rangers have King Henrik, which means they can win. The team also has a good system and has been finding ways to win. It is said that the best teams find ways to win, and that’s what the Rangers have been doing. At the end of the day, it’s hard to argue with that.